FORT WORTH — Family and friends honored a 35-year-old Army veteran on Monday during his final moments as he was wheeled through the halls of a Texas hospital to donate his organs. Family members said Staff Sgt. Matthew James Whalen was diagnosed on Saturday with a brain hemorrhage. Sadly, he did not recover. On Monday, Whalen’s family made the decision to withdraw life support and his organs were donated to two veterans. Sean Hatton posted a video on Facebook that shows Whalen’s final moments. “In his final act on this Earth, it’s only fitting that he gave his life and in return saved two others. And it’s almost as if it were meant to be that the two donor recipients happened to be veterans. People lined the halls at Plaza Fort Worth Medical Center to say their final goodbyes. Whalen’s wife, Hannah, can also been seen in the video. 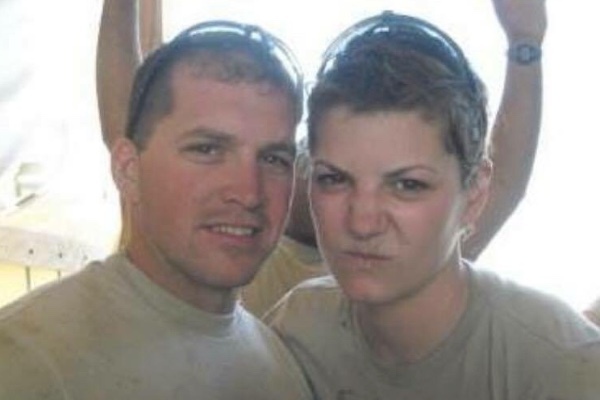 The GoFundMe page has been set up to help Hannah, who is also a veteran, financially support their three children and cover medical expenses.